The RetraxONE retractable pickup bed cover is manufactured from polycarbonate, a durable thermoplastic commonly known as LEXAN. This low-profile design incorporates a front cover that is flush with the truck bed cover, which streamlines the overall appearance and provides a firm, dependable seal to help to keep the truck bed dry. This rigid, one-piece sheet is engineered to retract without joints or hinges that can trap dust, wear out or freeze. 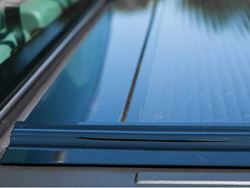 Polycarbonate has excellent impact resistance and is unharmed by sun, moisture or temperatures from -50 to 200?F. Sealed ball-bearing rollers mounted onto the aluminum support beams allow the RetraxONE truck bed cover to retract or close effortlessly without the use of springs or any kind of mechanism – no moving parts to jam, freeze or fail. 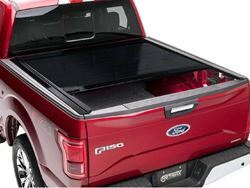 The compact storage canister, approximately 11 inches squared, contains a unique spiral track system that prevents the truck bed cover from coming into contact with itself as it opens or closes. Tempered aluminum support beams embedded into the polycarbonate sheet add strength to support heavy snow loads and ensure quiet, stable travel at any speed. 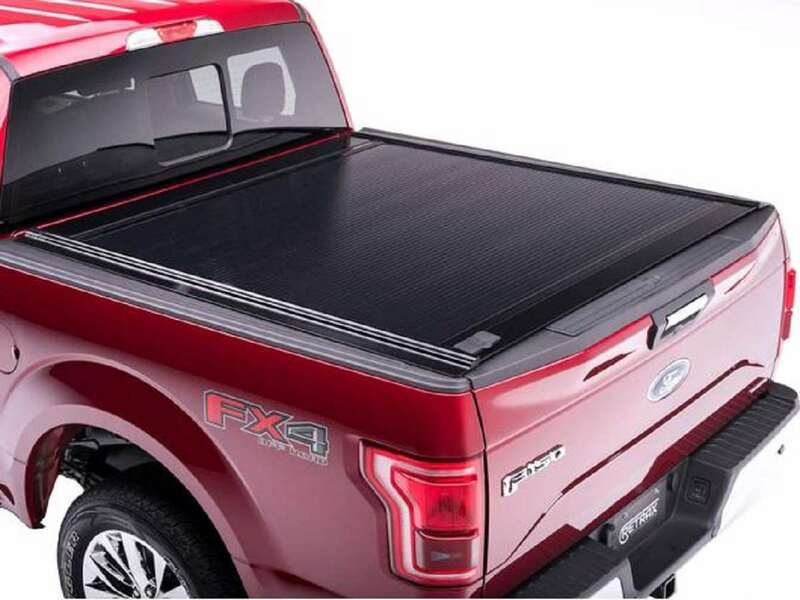 In fact, the rigid design of the Retrax(TM) truck bed cover improves the aerodynamics of your pickup so much that it can improve your fuel economy by as much as 10%!